Priyanka Chopra is inspired by Kareena Kapoor Khan because of the manner in which she carried herself during her pregnancy and said that she intends to take cues from her while she is expecting her first child as well, a leading daily reports. Priyanka and Kareena appeared together on the season finale of Karan Johar’s celebrity chat show Koffee With Karan while the Bajirao Mastani actress reportedly made the aforementioned confession in a BTS video from the show. 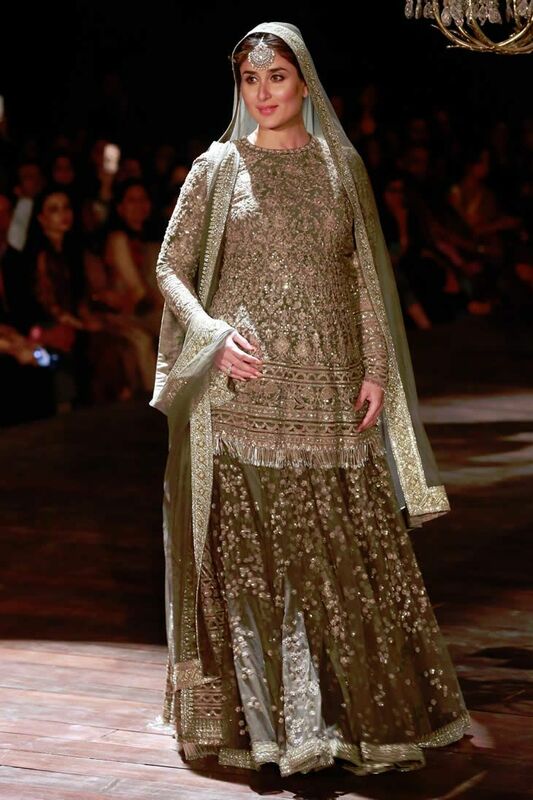 Kareena welcomed her first child Taimur in 2016 and while she was pregnant, she walked the ramp at the Lakme Fashion Week in an embellished lehenga choli and was also spotted in and around Mumbai in her classic maternity attire. “I remember seeing those pictures and I was like, damn see now that’s what I am going to do too,” Priyanka said in the video, as per the report. While on Koffee With Karan 6, Kareena and Priyanka also revealed that both got proposed to in Greece. Priyanka married American singer Nick Jonas in 2018 at a private ceremony in Jodhpur. Reports of Priyanka and Nick starting a family surfaced soon after their wedding but she has maintained that it will “happen organically”. Taimur is Kareena’s first child with husband, actor Saif Ali Khan. Kareena and Saif, co-stars of Tashan, Agent Vinod and Kurbaan, married in 2012. Workwise, Priyanka Chopra will appear in Bollywood in Shonali Bose’s The Sky Is Pink while Kareena Kapoor Khan’s upcoming releases include Good News and Takht.